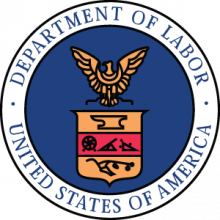 On October 22, 2015, the Department of Labor issued new guidance, Interpretive Bulletin 2015-01, relating to the fiduciary standards under ERISA in considering economically targeted investments (“ETIs”), or investments chosen to foster specific social goals, such as economic development and/or home ownership in a particular state or area. What does this guidance mean for fund fiduciaries? The idea that it is impermissible to use pension plan assets to foster purposes other than the financial good of plan participants and beneficiaries is an old one, predating even the Employee Retirement Income Security Act of 1974 (“ERISA”). See, e.g., Blankenship v. Boyle, 329 F.Supp. 1089 (D.D.C. 1971), in which the court held the fiduciaries of the United Mine Workers of American Welfare & Retirement Fund of 1950 liable for damages caused by keeping large sums of cash with the National Bank of Washington on a no-interest basis. The court held that trustees appointed by the United Mine Workers of America had done this to foster the interest of the union (which owned and controlled the National Bank of Washington), to the detriment of the plan participants. the prudence requirements of section 404(a)(1)(B) are satisfied if (1) the fiduciary making an investment or engaging in an investment course of action has given appropriate consideration to those facts and circumstances that, given the scope of the fiduciary’s investment duties, the fiduciary knows or should know are relevant, and (2) the fiduciary acts accordingly. This includes giving appropriate consideration to the role that the investment or investment course of action plays (in terms of such factors as diversification, liquidity and risk/return characteristics) with respect to that portion of the plan’s investment portfolio within the scope of the fiduciary’s responsibility. The fiduciary standards applicable to ETIs are no different than the standards applicable to plan investments generally. Therefore, if the above requirements are met, the selection of an ETI, or the engaging in an investment course of action intended to result in the selection of ETIs, will not violate section 404(a)(1)(A) and (B) and the exclusive purpose requirements of section 403. In light of the rigorous requirements established by ERISA, the Department believes that fiduciaries who rely on factors outside the economic interests of the plan in making investment choices and subsequently find their decision challenged will rarely be able to demonstrate compliance with ERISA absent a written record demonstrating that a contemporaneous economic analysis showed that the investment alternatives were of equal value. Interpretive Bulletin 2015-01 has now withdrawn Interpretive Bulletin 08-01 and reinstated the language of Interpretive Bulletin 94-01. Divestiture. At first, this involved selling stocks in companies that invested in South Africa, a practice that changes in the South African political situation have eliminated in recent years. However, it has also been proposed as one way of decreasing a fund’s investment in such things as gun manufacture. The Department has expressed the view that the fiduciary standards of sections 403 and 404 do not preclude consideration of collateral benefits, such as those offered by a ‘socially-responsible’ fund, in a fiduciary’s evaluation of a particular investment opportunity. However, the existence of such collateral benefits may be decisive only if the fiduciary determines that the investment offering the collateral benefits is expected to provide an investment return commensurate to alternative investments having similar risks. The Department of Labor has issued a series of opinion letters and information letters dealing with investment in real estate mortgages based on various social purposes that came to similar conclusions. See, e.g., ERISA Opinion Letter Nos. 88-16A and 85-36A, and information letters issued to Prudential Life Insurance Company of America (January 16, 1981); Electrical Industry of Long Island (March 15, 1982); Union Labor Life Insurance Company (July 8, 1988); and General Motors Corporation (May 14, 1993). Thus, ERISA as currently interpreted by the Department of Labor would permit ERISA-covered fiduciaries to consider noneconomic consequences of alternative investments, to the extent that such fiduciaries, after taking the proper steps to assure compliance with both the procedural and substantive components of their fiduciary duties, decided that the ETI was equal to or better than available alternative investments on an economic basis. However, it would not permit fiduciaries to choose aan ETI that was not at least equal to available other investments. In the aftermath of the passage of ERISA, the law that applies to pension plans depends in large part on the type of employer. Thus, this report deals separately with plans of businesses organized to make a profit (for convenience, referred to as “taxable employers”), church plans, governmental plans, and plans of other nonprofit organizations. The major types of plans of taxable employers that might consider investment in ETIs are qualified plans, and nonqualified deferred compensation arrangements for management and highly compensated employees (“top hat plans”). ERISA governs any pension plan maintained by an employer or union that affects interstate commerce, other than (1) a governmental plan, (b) a church plan, (c) a plan maintained outside of the United States primarily for the benefit of nonresident aliens, or (d) an unfunded excess benefit plan. ERISA section 4. Thus, ERISA is the major source of federal law dealing with plans of taxable employers. ERISA was enacted in response to a variety of weaknesses in the pension system. Some employers required unrealistically lengthy periods of participation, and penalized employees for even brief breaks in employment. Even those employees who qualified for pensions sometimes found that pension assets were insufficient to cover benefits. These problems were exacerbated by imprudent or even dishonest investment practices. These problems were highlighted by the collapse of the Studebaker Corp. in 1964. When the company declared bankruptcy, even fully vested, long service employees lost substantial pension benefits. Congress then began hearings that culminated 10 years later in the passage of ERISA, which contained a variety of initiatives to prevent similar occurrences in the future. These initiatives included funding standards, reporting and disclosure requirements, plan termination insurance, and minimum coverage requirements. They also included a variety of fiduciary rules. These fiduciary rules are typically of the greatest concern to pension funds that are considering investment in ETIs. For qualified plans of ERISA-covered employers, the Internal Revenue Code of 1986 (“Code”) and ERISA represent the major statutory constraints on investments. Section 404 of ERISA (dealing with fiduciary standards) and sections 406 through 408 (dealing with prohibited transactions, self-dealing, and limitations of the percentage of plan assets that can be invested in certain kinds of investments) are the primary sections of ERISA relevant to ETIs. Similar restrictions are found in the exclusive benefit rule of Code section 401(a)(2) and the prohibited transaction rules of Code section 4975. To the extent that a qualified plan permits participants to select the investments of their accounts, and that the investments from which they can make the selections include a variety of funds that would be prudent regardless of noneconomic considerations, ERISA section 404(c) would provide certain additional protections to fiduciaries if the plan’s investment selection procedures meet its standards. Conversely, for those qualified plans that cover collectively bargained employees (both single employer plans and multiemployer plans), the provisions of the Taft-Hartley Act and collective bargaining agreements could impose terms that constrain or permit ETIs. We discuss each of these issues below. ERISA contains several provisions governing plan investments. ERISA sections 403(c)(1) and 404(a) (set forth in Appendix A) impose the general fiduciary prudence and diversification standards. Thus, the question presented is whether investing in ETIs would be considered a violation of the fiduciary standards of ERISA sections 403 and 404. Under ERISA, all judgments about the prudence of fiduciary actions are to be made from the perspective of the time the decisions were made, not in hindsight. The relevant courts and agencies have long recognized that estimating risks and returns is imperfect. Provided that the fiduciaries exercise both the substantive and the procedural component of their fiduciary duties (see below), a court is likely to give deference to their investment decisions, even if those decisions later prove to have been less than optimal. Fiduciary duties have both a substantive and a procedural component. A fiduciary who invests in an ETI without making adequate investigation into its risk and return characteristics thereby violates his or her procedural fiduciary duties. A fiduciary who makes an adequate investigation, but then makes an investment decision that exposes beneficiaries to a risk that is excessively high relative to return, thereby violates his or her substantive fiduciary duties. ERISA Reg. § 2550.404a-1 sets forth the applicable regulatory interpretation of the statutory standards. Under the standards set forth in that regulation, a fiduciary could clearly decide to invest in a fund that invests in ETIs if the fiduciary had complied with both its procedural and substantive fiduciary duties, and believed that the return of that fund, relative to the risk, was greater than that otherwise available. For example, if a fiduciary under such circumstances believed that tobacco-related litigation lowered the expected returns while increasing the risk of tobacco investments to the point that tobacco stocks were not as good an investment as other investments available to the fund, the fiduciary could decide to exclude tobacco stocks from the portfolio. The question then becomes whether the “exclusive purpose” standard of ERISA section 404 means that a fiduciary cannot take into account any purposes other than financial returns, even in deciding between two investments with equal return/risk characteristics. In essence, Interpretive Bulletin 2015-01 permits the consideration of nonfinancial factors in selecting investments to the extent, and only to the extent, that the investments chosen involve a risk/return ratio at least as favorable as other available investments. In view of the above, if the likely returns, relative to risk, of a fund that invests in ETIs are less than those of otherwise available investments, fiduciaries interested in investing in a fund that invests in ETIs may wish to consider ways of insulating themselves from liability. The most practical approach is typically through ERISA section 404(c), which insulates the fiduciaries from liability for certain participant-directed investments, if they follow its standards. We discuss ERISA section 404(c) in the following section of this article. (e) the participant or beneficiary actually exercises control over the assets in his account. Further restrictions apply to transactions with a related party, including the purchase of employer securities. The section 404(c) regulations would not provide full protection to a fiduciary that allowed investment only in funds that invest in ETIs that had lower returns, relative to risks, than other available investments. The preamble to these regulations emphasized that the act of designating investment alternatives in an ERISA section 404(c) plan is a fiduciary function to which the limitation on liability provided by section 404(c) is not applicable. ERISA Advisory Opinion 98-04A made clear that in designating investment alternatives, non-economic factors could be considered only if the investment alternatives chosen, when judged solely based on economic value, would be equal to or superior to alternative available investments. Nevertheless, section 404(c) provides protection for fiduciaries who follow it to the extent that participants’ own choices, rather than the fiduciaries’ conduct, result in the losses. Thus, for example, a fiduciary that offered only funds that invested in ETIs, each of which offered economic benefits lower than those of comparable alternative investments, would not be protected by section 404(c). However, provided the provisions of the regulations were followed, they arguably would protect a fiduciary that offered the same portfolio of investments, plus a broad range of other investments (ETIs or otherwise) which offered economic benefits equal or superior to those of alternative available investments. Such a fiduciary would presumably not be liable for an economic detriment that occurred because of a particular participant’s choice of the ETIs. A fiduciary who intends to rely on the section 404(c) regulations should consult the regulations themselves for the specifics. However, the regulations can provide a measure of protection to fiduciaries who follow them. In general, the Taft-Hartley Act and related labor laws do not impose restrictions on the investments of a plan that covers employees whose employment is subject to the terms of a collective bargaining agreement (“collectively bargained employees”). Indeed, National Labor Relations Board v. Amax Coal Co., 453 U.S. 322 (1981), confirms that a trustee of a collectively bargained plan, even if appointed by management, does not serve as a “representative” of the employer “for purposes of collective bargaining or the adjustment of grievances” in the performance of his or her fiduciary duties. However, if a plan covers collectively bargained employees, the plan’s fiduciaries need to examine the collective bargaining agreement(s) involved to see whether they impose any special restrictions. In particular, they need to determine whether any collective bargaining agreement includes the trust’s investment program as a subject of collective bargaining, in which case it may be considered a “term or condition of employment”” which would be the subject of mandatory bargaining. In most but not all instances, collective bargaining agreements specifically exclude trust investments from mandatory bargaining, in which case a collectively bargained plan would be under no more restrictions than any other plan. The fiduciary requirements of ERISA do not apply to “a plan which is unfunded and is maintained by an employer primarily for the purpose of providing deferred compensation for a select group of management or highly compensated employees” (a “top hat” plan). ERISA section 401(a)(1). Nevertheless, ERISA section 514, which is attached as Appendix C, excludes such plans from most state regulation. Technically, top hat plans do not have investments, since the definition of a top hat plan requires that it be unfunded. In practice, however, such plans have used a variety of arrangements (most notably, so-called “rabbi trusts,” under which trust assets are subject to the claims of the employer’s creditors but are otherwise set aside for the participant) to hold assets intended to meet the employer’s obligations under the plan. In such instances, neither ERISA nor state law would govern the investments of the rabbi trusts, except to the extent that an employee could argue that the investments violated a contractual right the employee had (e.g., a right under the top hat plan itself, or under an employment contract). Qualified plans maintained by churches or church-controlled organizations are not subject to the provisions of ERISA unless the relevant employer(s) elect to have them covered under ERISA (which few of them have done). ERISA section 4(b)(2); Code section 410(d). Nevertheless, courts may apply fiduciary standards to qualified church plans based on a variety of legal theories. First, they are subject to Code section 401(a)(2) (the exclusive benefit rule) which, as is discussed below, can be viewed as imposing certain fiduciary standards on qualified plans. Second, although the prohibited transaction rules of Code section 4975 do not apply to qualified church plans, Code section 503(b) imposes various self-dealing rules on such plans. Third, church plans are not subject to ERISA section 514, which generally preempts the application of state laws to pension plans. Thus, state statutory or common law (both that dealing with trusts as such, and that dealing with the requirements applicable to nonprofit corporations) can affect the fiduciary rules applicable to such plans. To the extent that state laws apply on their face, we discuss below the extent that Constitutional principles of separation of church and state might preclude their application. (4) the safeguards and diversity that a prudent investor would adhere to must be present. Although Rev. Rul. 69-494 by its terms dealt only with investments in the employer, Rev. Proc. 72-6, 1972-1 C.B. 710 confirmed that it would apply to any investments of a pension trust. This language makes it clear that compliance with the ERISA section 403 and 404 standards discussed above would ensure compliance with Code section 401(a)(2). It is not as clear that compliance with the ERISA standards, in the case of a plan not otherwise subject to ERISA, is required as a condition of qualification under Code section 401(a)(2). For example, in Shedco v. Commissioner, T.C. Memo 1998-295 (August 12, 1998), the Tax Court held that an isolated violation of the prudence requirements of ERISA section 404 would not disqualify a plan under Code section 401(a)(2). IRS officials, too, have informally indicated that the section 401(a)(2) rules may not be as stringent as the ERISA fiduciary standards. For example, legal list statutes and economically targeted investment statutes are commonly applied to governmental plans (see discussion below), and the IRS has not historically challenged such statutes on Code section 401(a)(2) grounds. Thus, Code section 401(a)(2) would not prohibit a church plan from taking into account nonfinancial objectives to the extent that ERISA would permit an ERISA-covered plan to do so. It appears that a court could interpret Code section 401(a)(2) as imposing a looser standard than ERISA sections 403 and 404, but it is unclear just how much looser the standard might be. Code section 503(b) imposes prohibited transaction rules on governmental and church qualified plans. However, like the prohibited transaction rules of Code section 4975 applicable to other qualified plans, the Code section 503(b) rules apply only if a pension plan is involved in a transaction with a related party, and thus would not typically be an issue with respect to ETIs. State trust law takes two forms: common law restrictions on fiduciary investments and state statutes. In general, states have not attempted to regulate the investments of church retirement plans, as such. Thus, the primary fiduciary rules applicable to church plans come from the common law. The primary duties that are relevant to this discussion are the duty of loyalty set forth in Restatement of Trusts 3d § 170, the general standard of prudent investment set forth in Restatement of Trusts § 227, and the duty to follow the investment provisions of a statute or trust set forth in Restatement of Trusts 3d § 228. Trustees in deciding whether to invest in, or to retain, the securities of a corporation may properly consider the social performance of the corporation. They may decline to invest in, or to retain, the securities of corporations whose activities or some of them are contrary to fundamental and generally accepted ethical principles. They may consider such matters as pollution, race discrimination, fair employment, and consumer responsibility. Similarly, in construing testamentary trusts, some have urged that social factors should override even the testator’s express directives. For example, in the litigation concerning the desegregation of Girard College, a school established in Philadelphia in 1833 for “poor white male orphans,” it was asserted that the testator’s philanthropic designs would best be served by admitting male children of all races. Commonwealth of Pennsylvania v. Brown, 392 F.2d 120, 125 (3d Cir. ), cert. denied, 391 U.S. 921, 88 S.Ct. 1811, 20 L.Ed.2d 657 (1968); Girard College Trusteeship, 391 Pa. 434, 480‑481, 138 A.2d 844, 866 (Musmanno, J., dissenting), cert. denied, 357 U.S. 570, 78 S.Ct. 1383, 2 L.Ed.2d 1546 (1958). See also Clark, Charitable Trusts, The Fourteenth Amendment and The Will of Stephen Girard, 66 Yale L.J. 979, 990 (1957) (suggesting that the moral duty of trustees, who were agents of the city, to Philadelphia’s two million citizens “was scarcely less than that to one dead testator”). Additionally, in Matter of London, 104 Misc. 372, 377‑ 378, 171 N.Y.S. 981, 983‑984 (1918), aff’d, 187 A.D. 952, 175 N.Y.S. 910 (1919), the Surrogate Court for New York County upheld an investment in war bonds at 3.5 percent despite the testator’s express command that the trustee should invest only in railroad bonds paying at least 4 percent. Noting that the nation was at war and needed the “undivided aid, support and loyalty of every citizen,” the court hypothesized that the testator would have sanctioned this investment had he been alive. Ibid. Moreover, the case law regarding the application of these rules to ETIs is sparse and mostly unhelpful. For example, an Oregon lower court decision concluded that an Oregon Board of Higher Education directive instructing divestment of the common stock of companies doing business in South Africa, Zimbabwe, and Namibia could not be enforced because it conflicted with the state’s prudent investor statute. However, the trial court interpreted the law to require complete divestment, even in situations in which divestment was imprudent, and therefore did not consider whether a fund could take into account social policies in selecting among prudent investments. The appeals court did not reach the merits of this decision, but instead dismissed the case based on the plaintiffs’ lack of standing. Associated Students of University of Oregon v. Oregon Investment Council, 82 Ore. App. 145, 728 P.2d 30 (1986), review denied, 303 Or. 74, 734 P.2d 354 (1987). Moreover, this case involved fiduciaries who had chosen not to comply with the directive, and plaintiffs who were seeking the support of the court to force the fiduciaries to apply it. Thus, it did not deal with a situation in which a participant or beneficiary sued fiduciaries who had taken into account nonfinancial objectives in investing trust assets. In Withers v. Teacher’s Retirement System, 447 F. Supp. 1248 (S.D.N.Y. 1978), aff’d. memo 595 F.2d 1210 (2d Cir. 1979), beneficiaries of the New York City Teacher’s Retirement System argued that the trustees of the System had acted imprudently in deciding to purchase highly speculative New York City bonds to avert the City’s threatened bankruptcy. However, the court declined to treat averting the City’s bankruptcy as a noneconomic purpose, reasoning that the solvency of the System depended on the City’s ability to make continuing contributions to it, which would be jeopardized if the City became bankrupt. At least one case has, however, explicitly dealt with whether trustees who exercised overall prudence in the selection of investments could take into account noneconomic objectives, even if doing so reduced the benefits of plan participants. Board of Trustees v. City of Baltimore, 317 Md. 72, 562 A.2d 720 (1989), cert. denied sub nom. Lubman v. Mayor et al., 110 S. Ct. 1167, 107 L.Ed.2d 1069 (1990). In that case, various Baltimore City pension systems provided both fixed and variable benefits. The trustees of the systems argued that an ordinance that called for divestiture of stock in companies that did business in South Africa impaired the city’s contractual obligations to the systems’ participants, in violation of the Contract Clause of the U.S. Constitution. (Art. I, § 10.) They argued that to the extent the systems provided variable benefits, divestiture would reduce the participant’s ultimate benefits, and that to the extent the systems provided fixed defined benefits, divestiture disturbed the participants’ expectations that benefits would be well secured. Thus, while little authority exists at the state level on ETIs, we believe that in the absence of a statute, at least the majority of courts would not hold noneconomic goals to be per se forbidden. However, courts may well vary as to whether they would simply require that fiduciaries not pursue them to the extent that they would have more than a de minimis negative effect on investment returns, or whether they would require that the funds that invested in ETIs be equal to or better than other available funds, after considering transaction and market impact costs. Moreover, at common law a trustee is generally entitled to rely on the terms of a trust document specifying the types of investments in which the trust may invest or is forbidden from investing. Restatement of Trusts § 227, comments q and r. The only exceptions are if the trust terms are impossible or illegal, or if owing to circumstances unknown to the settlor of the trust and not anticipated by him, compliance would defeat or substantially impair the accomplishment of the purposes of the trust. Thus, to the extent that a trust under a church pension plan specifically provides for investment in ETIs, the trustee would normally be entitled to rely on such provision as a matter of the state common law of trusts. Of course, the reverse is also true. If a church plan trust document states, for example, that investments are to be prudent within the meaning of ERISA, a fiduciary arguably would need to comply with the ERISA standards even if they were otherwise inapplicable to the plan. As discussed above, ERISA section 404(c)(1) provides an exception to the normal fiduciary rules of ERISA (in the case of plans that are subject to such rules) for certain participant-directed investments. We considered the question of whether a similar exception might be available under the common law for plans that are not subject to ERISA. For the reasons set forth below, we believe that there is such an exception, except to the extent that state statutory law may have modified the common law rules. The beneficiary had knowledge of his legal rights and of all material facts that the trustee knew or should have known unless the trustee reasonably believed that the beneficiary knew them. Restatement of Trusts 3d § 216. These rules are quite similar to the rules set forth in the regulations under ERISA section 404(c), and we believe that they should be interpreted in a similar manner. Thus, for example, the fiduciaries would want to make sure that plan participants and beneficiaries were aware of any historical information that might suggest that an ETI would likely produce a lower rate of return than other available alternatives. Church retirement plans facing a legal challenge to their decision to invest in ETIs have a defense they can offer that is not available to other types of retirement plans namely, that their decision to select plan investments based on their respective religious beliefs is a decision protected by the First Amendment of the U.S. Constitution (or by a similar provision contained in a state constitution). This issue (First Amendment protection for a church retirement plan’s investment decisions) has not been directly addressed by a court. However, in one case, the Minnesota Court of Appeals (that state’s highest level appellate court) determined that, under the First Amendment and a broader “Freedom of Conscience” Clause contained in the State of Minnesota’s Constitution, Minnesota courts should not entangle themselves in reviewing issues of church doctrine and organization. Basich v. Board of Pensions, Evangelical Lutheran Church in America, 540 N.W. 2d 82 (1995). In this case, Rev. Basich and other plaintiffs complained of his denomination’s determination that, in the absence of a participant’s direction to the contrary, the participant’s retirement plan accounts would be invested in a fund that had been divested of companies doing business in South Africa, under the denomination’s South Africa divestment policy. Because no case law has interpreted this legislative history, practitioners generally assume that the exclusive benefit rule under Code section 403(b)(9) is identical to that which applies to qualified plans under Code section 401(a)(2), discussed above. And as discussed above, at least one private letter ruling has held that a default investment option that involved ETIs will not impair the 403(b)(9) status of a church retirement fund. For those churches that use 403(b)(7) custodial accounts, or variable annuities under Code section 403(b) in which the segregated asset account is invested in a mutual fund, the Code does not provide a specific exclusive benefit rule. Code section 403(b)(1)(C) does provide that benefits under a 403(b) plan must be “nonforfeitable.” However, it seems highly unlikely that a court would determine investment in ETIs would be considered a forfeiture for purposes of section 403(b). Finally, the same state statutory and common law fiduciary and nonprofit corporation rules, and Constitutional limitations on the application of such rules, apply to church 403(b) plans in the same manner as to church qualified plans. Traditional nonqualified deferred compensation plans of churches, like those of private employers, are typically unfunded, but the amount payable under them may be based on the performance of assets held in a “rabbi trust.” However, unlike deferred compensation plans of private employers, church deferred compensation plans frequently cover rank and file employees, not just management or highly compensated employees. State statutory and common law fiduciary and nonprofit corporations rules, and Constitutional limitations on the application of such rules, to church plans (including church nonqualified plans) are described above. However, it is at least arguable that common law fiduciary rules are inapplicable, because assets of a rabbi trust are in general treated more like assets of the employer than like normal trust assets. Like church plans, governmental plans are exempt from the application of ERISA and the prohibited transaction rules of Code section 4975, but subject to state law. Governmental qualified plans are also subject to Code sections 401(a) and 503(b). Thus, many of the rules are the same as those discussed above. However, some important differences exist, as described below. While both church and governmental plans are subject to state law, states have in practice been much more active in regulating governmental plans than church plans. State regulation of governmental plans has taken the form of: (a) Court interpretation of state constitutional provisions concerning impairment of contracts to require that imprudent investments not jeopardize governmental employees’ benefits, and (b) state regulation of the investment of pension funds, such as “legal list” statutes. The recent approval by the Uniform Law Commissioners of the Uniform Management of Public Employee Retirement Systems Act (“UMPERSA”), which sets forth model standards for regulating the investments of governmental plans, has provided a road map that state legislatures and agencies are likely to follow in the future. Thus, besides the common law and Code section 401(a)(2) and 503(b) rules discussed above in connection with qualified church plans, governmental plans must comply with various state Constitutional and statutory restrictions on investments by governmental plans, as discussed below. Moreover, although governmental entities are not typically subject to nonprofit corporation law, certain governmental instrumentalities may be. To the extent that a governmental entity held assets outside of a trust, those assets would arguably be subject to the same constraints as discussed below with respect to nonpension assets held as endowments. In many instances, courts have held that federal or state constitutional provisions dealing with impairment of contracts require that governmental pension funds invest prudently. Constitutional restrictions on investments are particularly significant, inasmuch as they are the one source of authority that cannot be overcome by contrary statutory or common law, or by the terms of the applicable trust document. The Constitutional provisions, and the interpretation of those provisions, will obviously vary from state to state. Moreover, it is unclear how broadly the Sgaglione case should be interpreted. That case dealt with a situation in which the Systems were being required to purchase highly risky New York City bonds, at a time when New York City was staving off bankruptcy. The case of Board of Trustees v. City of Baltimore, supra, analyzed a similar provision under the Maryland Constitution. The court there found that the Maryland Constitutional provision in question would not preclude a de minimis reduction in benefits and/or benefit security to foster the noneconomic purposes involved in divestment of stock in companies that did business in South Africa. Thus, trustees of governmental plans should bear the Constitutional issues in mind in determining the permissibility of applying noneconomic factors to the investments of a particular government plan. However, to the extent that application of such factors would have no more than a de minimis effect on returns (after taking into account transaction and market impact costs), the Board of Trustees v. City of Baltimore case, supra, provides an argument that such a purchase would not be prohibited by state or federal Constitutional provisions dealing with impairment of contracts. States generally exercise a high degree of regulation over governmental plans of state and local government. Besides the common law of trusts discussed above with respect to church plans, and state Constitutional provisions, states often impose additional fiduciary requirements by statute. As of 1995, 23 states imposed a “prudent investor” rule similar to ERISA either by statute or by court interpretation of common law. Only 14 followed a more lenient “prudent person” rule, requiring that a fiduciary invest as prudently as a prudent person would for his own account rather than as prudently as a professional investor would. The remainder of the states used some variant or combination of these rules. As of 1995, 35 states had conflicts of interest rules, which are often quite extensive. Most states also had codes of ethics, which frequently apply to public officials who manage pension funds. State statutes also frequently provide for the enhancement of various noneconomic goals through pension fund investments. These range from prohibiting investments in certain foreign countries, to economically targeted investments, to encouragement of minority investment managers. Most state statutes would not bar the application of noneconomic factors to a plan’s investments as such, except to the extent that the application of such factors, might in a particular instance be “imprudent.” However, they might in some instances have an indirect effect on a governmental plan’s ability to invest in ETIs. For example, a legal list statute that prohibited investment in stocks would clearly prevent a governmental plan from investing in stock-based ETIs. Some commentators have suggested that because UMPERSA calls for the repeal of all state laws that deal with ETIs, it impliedly prohibits such investing. However, Steven L. Willborn, the Reporter for the Uniform Law Commission on UMPERSA, explicitly rejected such an interpretation. Rather, he states that the Commission intended the repeal of state laws governing ETIs only to result in the replacement of a patchwork of state standards with one uniform standard, with that standard being identical to the ERISA standard. The only governmental entities entitled to have 403(b) plans are public schools and universities. For those entities, the plans must fall within the standards set by Code section 403(b)(7) in the case of custodial accounts, or by Code section 403(b)(1) in the case of variable annuities under which the segregated asset account is invested in a mutual fund. Thus, to the extent discussed above in the case of church plans, the “nonforfeitability” rule of Code section 403(b)(1)(C) is the only provision in section 403(b) which could perhaps impose fiduciary standards on such plans, and we think such an event is highly unlikely. Code section 457 governs nonqualified deferred compensation plans of state and local governments. Code section 457(g) requires that assets and income of such plans must be held in trust for the exclusive benefit of participants and their beneficiaries. Thus, we discuss below the extent to which the exclusive benefit rule of section 457(g) might impose rules similar to those that would apply to a qualified plan under Code section 401(a)(2). In addition, as discussed above with respect to qualified plans, trusts under governmental section 457 plans are subject to state Constitutional, statutory and common law regulation. As noted above, all 403(b) plans of governmental and church organizations are exempt from ERISA. However, in the case of 403(b) plans of other entities, ERISA will apply unless an exception is met. The principal exception is set forth in ERISA Reg. § 2510.3-2(f), which is found in Appendix E. That section provides that a 403(b) annuity program that provides only for salary reduction contributions, which meets certain other criteria set forth in the regulation, will not be treated as an employee benefit plan within the meaning of ERISA. Under those circumstances, the rules applicable to the 403(b) plan of a nonprofit organization would be identical to those discussed above for church and governmental plans. By contrast, if a 403(b) plan (other than a church or governmental plan) provides for employer contributions that do not reduce the employee’s salary, or otherwise fails to meet the standards set forth in the regulation, it will be subject to ERISA fiduciary standards just as if it were a qualified plan. This section of the report is concerned with investments held directly by endowments, including unfunded rabbi trusts maintained by tax-exempt organizations. It does not deal with pension trusts maintained by nonprofit organizations, which are subject to the rules described above. Commentators who have considered this standard believe a fiduciary may consider the noneconomic implications of investments but that such considerations should not take precedence over financial considerations. Investments must not jeopardize the fund’s safety or the adequacy of its return. [D]irectors of a [nonprofit] corporation are charged with the duty of managing its affairs honestly and in good faith, and they must exercise ordinary and reasonable care in the performance of their duties. They must act with fidelity to the interests of the corporation, and they are jointly and severally liable for losses of the corporation proximately resulting from bad faith, fraudulent breaches of trust, or gross or wilful negligence in the discharge of their duties. Beard v. Achenbach Memorial Hospital Association, 170 F.2d 862 (10th Cir. 1948). The “business care” standard is less stringent than the “prudent investor” standard, noted above, and provides a greater margin of discretion in the management of investments. The “prudent investor” rule imposes a standard of simple negligence, in contrast to the gross negligence standard traditionally applied under the “business care” rule. Under the “business care” rule, directors of nonprofit corporations may consider noneconomic and financial factors equally when making investment decisions. See Solomon, Lewis D. and Coe, Karen C., “Social Investments by Nonprofit Corporation and Charitable Trusts: A Legal and Business Primer for Foundation Managers and Other Nonprofit Fiduciaries,” 66 UMKC L. Rev. 213 (1997). The enactment of UMIFA in most jurisdictions (see Appendix D) has had a wide impact in this area of the law. UMIFA served two purposes: 1) to clarify ambiguities in the law as they affected nonprofit organizations and their governing board and 2) to establish a more flexible standard over the management of investment funds by nonprofit organizations to prevent a fear of liability and excessive restriction on investments from discouraging effective management. Normally, UMIFA applies only to nonprofit corporations, but some jurisdictions have legislated its applicability to charitable trusts as well. The Kansas Attorney General has issued an opinion that compared the “business care” standard and the “prudent investor” rule with respect to ETIs. The opinion addressed the divestment of funds in South Africa and stated that the business care standard allows an investor to consider the security of a particular investment as it is affected not only by economic conditions, but also by social and political conditions. Kans. Op. Att’y Gen No 85-153 (1985) available in WL 204845. Theoretically, criminal statutes under federal law, and the laws of each of the states, require a trustee to fulfill its fiduciary duties. However, in practice prosecutors and the courts have applied these laws only to gross malfeasance, not to imprudent but not reckless investment choices. Thus, this section of the memorandum focuses primarily on civil penalties. Moreover, the ERISA and common law financial penalties for imprudence apply only to the extent that trust beneficiaries suffer harm as a result of imprudent investments. Thus, for example, if a fund that invested in ETIs performed equally with or better than other investments available to the trust, the fiduciaries could not be held financially liable for investing in it, even if their actions at the time they invested might be seen as imprudent. They could, however, be subject to nonfinancial penalties, such as being required to divest themselves of the ETIs, being removed as trustees, being prohibited from serving as trustees of other funds, or other equitable remedies. In addition, governmental plans present a special case. Often, sovereign immunity will preclude fiduciaries from having any potential liability, especially if their conduct is not considered reckless or grossly negligent. However, the rules for governmental plans are normally imposed by statute, and vary from state to state. Thus, the remainder of this discussion deals only with nongovernmental plans. To the extent that a trustee was held to have improperly disposed of, for example, tobacco stock, at either ERISA or common law, the trust beneficiaries could charge the trustee with the loss of the value of the stock at the time of the decree, plus the value of the income that would have accrued to the trust if the trustee had retained the stock, plus the transaction and market impact costs inherent in the divestiture. However, the damages would be offset by the value of the investments and earnings of the replacement assets. ERISA section 409; Restatement of Trusts 3d § 208. In addition, in the case of a plan that is subject to ERISA, ERISA section 502(l) imposes a 20 percent penalty, payable to the Department of Labor, on the damages as determined above. Under either ERISA or common law, a trustee who improperly invests trust assets can be held liable for the amount of trust funds expended in the purchase plus or minus the amount of a reasonably appropriate positive or negative total return thereon. ERISA section 409; Restatement of Trusts 3d § 210. Thus, for example, if a court held that trustees had improperly invested trust assets in ETIs, and the ETIs did poorly, the trustees could be held liable for the price they originally paid for the ETIs, plus the amount the trust could reasonably have been expected to earn on the amount of such purchase price, minus the actual value of the ETIs on the date of the decree. In addition, a plan that is subject to ERISA would be subject to the 20% penalty of ERISA section 502(l), described in the preceding section. Among governmental plans, often fiduciaries are not indemnified by the employer or under fiduciary insurance. Instead, many state statutes exempt plan fiduciaries from personal liability for negligent acts. The scope of such statutes varies. However, because it does not involve having the plan indemnify the fiduciary, it does not create a problem under Code section 401(a)(2). Among church plans, the common law duty of loyalty set forth Restatement of Trusts 3d § 170 imposes rules similar to the ERISA rules on indemnification provisions and the purchase of fiduciary liability insurance. Unlike the ERISA rules, the common law rules are of course subject to Restatement of Trusts 3d § 228, which provides that the general trust rules can be overcome by a contrary provision of the trust instrument or a statute. Nevertheless, given the constraints of Code sections 401(a)(2) and 403(b)(9), discussed above, the safest course for most church plans is to have the employer rather than the plan purchase fiduciary insurance, except in the case of insurance that permits recourse against the fiduciary. In actual practice, trustees have not to date been held liable for damages incurred due to consideration of noneconomic factors in making investments. ETIs by pension funds and endowments, like other investments they make, are subject to fiduciary standards. All judgments about the prudence of fiduciary actions are to be made from the perspective of the time the fiduciaries made the decisions, not in hindsight. The relevant courts and agencies have long recognized that estimating risks and returns is imperfect. Provided that the fiduciaries exercise both the substantive and the procedural component of their fiduciary duties (see paragraph 3, below), a court is likely to give deference to their investment decisions, even if those decisions later prove to have been less than optimal. Fiduciary duties have both a substantive and a procedural component. On the substantive side, a fiduciary needs to maintain a written investment policy statement on investments, and have investment decisions made by a “prudent expert.” The plan should have a due diligence procedure for selecting the “prudent expert.” The due diligence process for searching for an appropriate money manager to execute the ETI initiative should be the same as the process for selecting any other money manager. A fiduciary who invests in ETIs without making adequate investigation into its risk and return characteristics thereby violates his or her procedural fiduciary duties. A fiduciary who makes an adequate investigation, but then makes an investment decision that exposes beneficiaries to a risk that is excessively high relative to return, thereby violates his or her substantive fiduciary duties. For example, a fiduciary who follows all of the due diligence standards set forth in the preceding paragraph, but then selects an investment manager based on the manager’s relationship to the fiduciary or contrary to the results of the prudence investigation, would be in violation of the substantive fiduciary duties. In determining the risk and return ratio of an ETI versus another investment option, it is appropriate to consider risk factors specific to the industry (such as the prospect of legislation or litigation that might affect the value of stock in tobacco companies), regardless of whether the plan is subject to ERISA. Fiduciaries must consider the consequences to future retirees as well as current retirees. For example, they should take into account societal shifts that may affect investments over the long term, even if not in the short term. If an ETI is at least as prudent, taking into account risk, likely investment return, and transaction and market impact costs, as other investments a pension plan or nonprofit entity could make, merely choosing it from among other prudent investments based on noneconomic factors is not likely to be a fiduciary violation. This is true regardless of whether the investor is a pension plan subject to ERISA, a pension plan not subject to ERISA, or another type of nonprofit entity. If, even after considering risks specific to the tobacco industry, an ETI appears likely to produce lower returns (after considering transaction and market impact costs), in relationship to its risks, than other investments available to a pension fund, but the difference is de minimis, at least one authority would suggest that the investment does not violate common law fiduciary standards applicable to non-ERISA pension plans. However, it is unclear how much of a difference in return would be considered de minimis under this standard. Moreover, the issue is much less clear, even under state law, than if the risks and returns were at least as great for the ETIs as for other investments. And the Department of Labor takes the position that the consideration of noneconomic factors cannot result in any diminution of return, even a de minimis one, in the case of an ERISA-covered plan. Despite the comments in paragraph 7, above, a governmental pension fund that is not subject to state Constitutional provisions which affect investments can typically avoid fiduciary issues if an applicable statute specifically permits a fund to avoid the screened-out investments, regardless of what language appears in the trust. However, such language is rare; more typically, statutes make a preference for avoiding certain types of investments subsidiary to general fiduciary standards. If the trust instrument of such a fund provides for investment in such a manner, and no applicable state statute voids such trust provision, the trust instrument investment directives control. This contrasts with an ERISA plan, in which neither state statutory nor plan language can eliminate fiduciary issues. Despite the comments in paragraph 7, above, a church pension fund can typically avoid fiduciary issues if the trust instrument provides for ETIs, and no applicable state statute voids such trust provision. Moreover, First Amendment issues could arise if a state statute attempted to void a church’s preference for ETIs. This contrasts with an ERISA plan, in which similar plan language cannot eliminate fiduciary issues. Even if a pension fund’s fiduciaries cannot be certain to be free from liability in making a decision to invest in ETIs, they can permit plan participants to choose to invest in a fund that invests in ETIs, if the plan also offers participants the right to choose from a variety of funds, including a selection of funds that would be prudent without regard to noneconomic factors. If the standards of ERISA section 404(c) or comparable provisions of state law are followed, the fiduciaries will not be liable under such circumstances for losses that arise from the participant’s own choice of investments. For nonprofit entities or for rabbi trusts maintained by nonprofit entities, the permissibility of investing ETIs, even if such decision means that the fund appears likely to produce lower returns, in relationship to its risks, than other available investments depends on specific state law. In some cases, nonprofit corporations are subject to a “prudent investor” standard similar to ERISA; in others, they are subject to a lesser “business care” standard that would allow the consideration of social objectives equally with financial ones. The impact of all exclusions of investments based on noneconomic factors considered together must be considered in applying the above standards. For example, it might be prudent to avoid investments in tobacco companies alone. However, exclusion of investments in tobacco, meat, coffee, and other companies, and all of their afficiates, might reduce the pool of available investments to the point that the diversification standards were no longer met..
1. Technically, it is possible for a taxable employer to have a funded pension plan that is subject to ERISA, but which does not meet the qualification rules of the Internal Revenue Code. However, such plans are extremely rare, and generally arise due to an inadvertent failure of a purportedly qualified plan to meet the qualification standards. The Conferees intend that to the extent that a fiduciary meets the prudent man standard of the Labor provisions of ERISA], he will be deemed to meet those aspects of the exclusive benefit requirements under ERISA. H. Conf. Rept. 93-1280, at 302 (1974), 1974-3 C.B. 415, 463. This language makes it clear that compliance with the ERISA section 403 and 404 standards discussed above would in all likelihood ensure compliance with Code section 401(a)(2). Thus, the Code section 401(a)(2) standards are now of interest primarily with respect to plans, such as church and governmental plans, which are not subject to ERISA sections 403 and 404. Also, Code section 4975 imposes prohibited transaction rules on ERISA-covered plans. However, under Reorganization Plan Number 4, the Department of Labor has been delegated the authority to interpret the relevant Code prohibited transaction rules as well as the parallel ERISA provisions. Because of these factors, this article’s discussion is focused on the ERISA rules. 3. ERISA sections 406 through 408 impose certain prohibited transaction rules on plans. However, these sections would not be an issue unless investing in the ETIs occurred through dealings with a “party-in-interest” (e.g., the employer which sponsored the plan, or a union which represented employees covered by the plan). Sec. 2550.404a-1 Investment duties. (a) In general. Section 404(a)(1)(B) of the Employee Retirement Income Security Act of 1974 (the Act) provides, in part, that a fiduciary shall discharge his duties with respect to a plan with the care, skill, prudence, and diligence under the circumstances then prevailing that a prudent man acting in a like capacity and familiar with such matters would use in the conduct of an enterprise of a like character and with like aims. (b) Investment duties. (1) With regard to an investment or investment course of action taken by a fiduciary of an employee benefit plan pursuant to his investment duties, the requirements of section 404(a)(1)(B) of the Act set forth in subsection (a) of this section are satisfied if the fiduciary: (i) has given appropriate consideration to those facts and circumstances that, given the scope of such fiduciary’s investment duties, the fiduciary knows or should know are relevant to the particular investment or investment course of action involved, including the role the investment or investment course of action plays in that portion of the plan’s investment portfolio with respect to which the fiduciary has investment duties; and (ii) has acted accordingly. (iii) the projected return of the portfolio relative to the funding objectives of the plan. 5. See, e.g., Florida Attorney General Advisory Legal Opinion AGO 97-29 (May 27, 1997), in which this rationale was used in coming to the conclusion that the Florida state systems could divest themselves of tobacco stock without incurring fiduciary liability. (B) no person who is otherwise a fiduciary shall be liable under this part for any loss, or by reason of any breach, which results from such participant’s or beneficiary’s exercise of control. 7. 57 Fed. Reg. 46922 (October 13, 1992). 8. We express no opinion on the result if a collective bargaining agreement called for screening which would otherwise be impermissible under ERISA. 9. The lack of regulation of top hat plans is not accidental. Rather, it reflects a judgment that “certain individuals, by virtue of their position or compensation level, have the ability to affect or substantially influence, through negotiation or otherwise, the design and operation of their deferred compensation plan, taking into consideration any risks attendant thereto, and therefore, would not need the substantive rights and protections of [ERISA].” DOL ERISA Advisory Opinion 90-14A. (1) The trustee is under a duty to administer the trust solely in the interest of the beneficiaries. (2) The trustee in dealing with a beneficiary on the trustee’s own account is under a duty to deal fairly and to communicate to the beneficiary all material facts the trustee knows or should know in connection with the transaction. The trustee is under a duty to the beneficiaries to invest and manage the funds of the trust as a prudent investor would, in light of the purposes, terms, distribution requirements, and other circumstances of the trust. (a) This standard requires the exercise of reasonable care, skill, and caution, and is to be applied to investments not in isolation but in the context of the trust portfolio and as a part of an overall investment strategy, which should incorporate risk and return objectives reasonably suitable to the trust. (b) In making and implementing investment decisions, the trustee has a duty to diversify the investments of the trust unless, under the circumstances, it is prudent not to do so. (3) incur only costs that are reasonable in amount and appropriate to the investment responsibilities of the trusteeship (§ 188). (d) The trustee’s duties under this Section are subject to the rule of § 228, dealing primarily with contrary investment provisions of a trust or statute. (b) has the powers expressly or impliedly granted by the terms of the trust and, except as provided in §§ 165 through 168, has a duty to the beneficiaries to conform to the terms of the trust directing or restricting investments by the trustee. 11. The procedural issue before the Minnesota Court of Appeals was whether the trial court had erred in refusing to grant the denomination’s motion for summary judgment on the grounds that the trial court lacked subject matter jurisdiction over the dispute. The Minnesota Court of Appeals determined that this motion should have been granted, both on First Amendment and Minnesota’s Freedom of Conscience Clause grounds. 12. That policy, referred to as an “equivalency policy,” generally provided that the Board of Pensions would divest (and refrain from making new investments in) stock of companies with South African holdings whenever the conditions of risk and return were equal between investing in that stock or in stock of companies without South Africa holdings. 13. This favorable ruling can be seen as reflecting the IRS’s view that the default investment option did not violate the exclusive benefit rule applicable to section 403(b)(9) church retirement income account plans. 14. These statistics are taken from Protecting Retirees’ Money: Fiduciary Duties and Other Laws Applicable to State Retirement Systems, Third Edition, by Cynthia Moore of the National Council on Teacher Retirement. 15. Since that time, the remaining states which completely forbade investments in equities have eliminated that prohibition. However, limitations on equity investments are still found in many state statutes. 17. In 1998, UMPERSA was introduced in Nebraska, Washington, and Oklahoma, but no action was taken on it in any of those states. 18. See, e.g., “An End to Social Investing,” Plan Sponsor (July-August 1998), p. 62. 19. “UMPERSA Does Not Prohibit Social Investing,” Plan Sponsor (October 1998), p. 8. (a) Except as provided in sections 405(b)(1) and 405(d) of this title, any provision in an agreement or instrument which purports to relieve a fiduciary from responsibility or liability for any responsibility, obligation, or duty under this part shall be void as against public policy. (3) an employer or an employee organization from purchasing insurance to cover potential liability of one or more persons who serve in a fiduciary capacity with regard to an employee benefit plan. Technically, it is possible for a taxable employer to have a funded pension plan that is subject to ERISA, but which does not meet the qualification rules of the Internal Revenue Code. However, such plans are extremely rare, and generally arise due to an inadvertent failure of a purportedly qualified plan to meet the qualification standards. ERISA sections 406 through 408 impose certain prohibited transaction rules on plans. However, these sections would not be an issue unless investing in the ETIs occurred through dealings with a “party-in-interest” (e.g., the employer which sponsored the plan, or a union which represented employees covered by the plan). See, e.g., Florida Attorney General Advisory Legal Opinion AGO 97-29 (May 27, 1997), in which this rationale was used in coming to the conclusion that the Florida state systems could divest themselves of tobacco stock without incurring fiduciary liability. We express no opinion on the result if a collective bargaining agreement called for screening which would otherwise be impermissible under ERISA. The procedural issue before the Minnesota Court of Appeals was whether the trial court had erred in refusing to grant the denomination’s motion for summary judgment on the grounds that the trial court lacked subject matter jurisdiction over the dispute. The Minnesota Court of Appeals determined that this motion should have been granted, both on First Amendment and Minnesota’s Freedom of Conscience Clause grounds. This favorable ruling can be seen as reflecting the IRS’s view that the default investment option did not violate the exclusive benefit rule applicable to section 403(b)(9) church retirement income account plans. These statistics are taken from Protecting Retirees’ Money: Fiduciary Duties and Other Laws Applicable to State Retirement Systems, Third Edition, by Cynthia Moore of the National Council on Teacher Retirement. Since that time, the remaining states which completely forbade investments in equities have eliminated that prohibition. However, limitations on equity investments are still found in many state statutes.